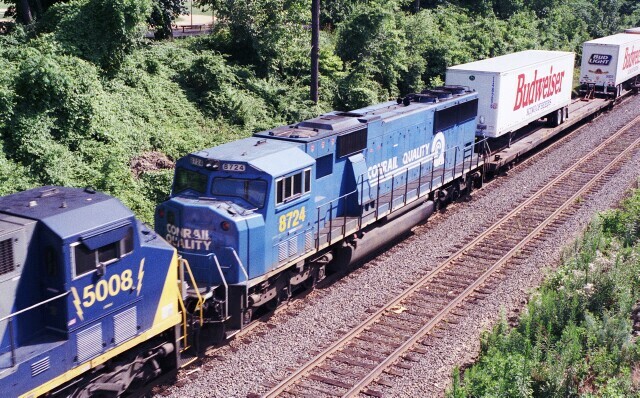 CSX intermodal train Q174 speeds through CP Berry on the CSX Trenton Line. 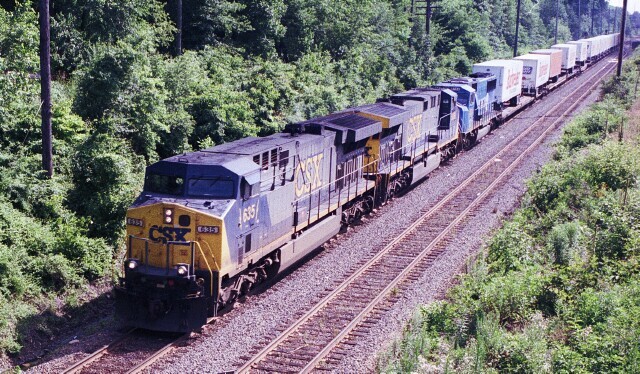 AC6000CW CSX 635 leads sister unit 5008 with SD60I 8724 (former Conrail unit 5579) trailing. 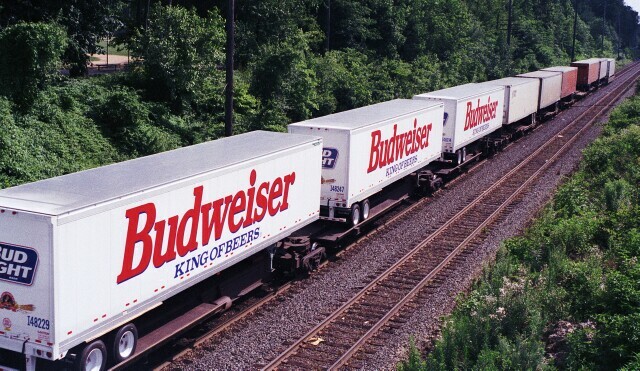 The real highlight of the train was its cargo. 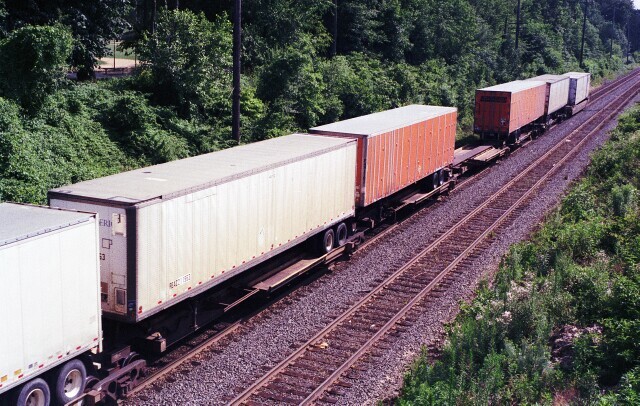 Since the early 1970's, Tropicana has efficiently run an orange juice train from Florida to Jersey City. 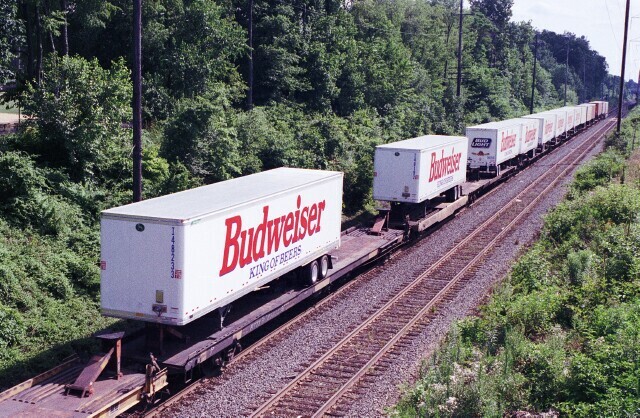 Possibly with that in mind, CSX and Anheiser-Busch experimented with hot shot intermodal Q174, loading it up with Budweiser billboard trailers loaded with, you guessed it, beer, temporarily turning it into "the other juice train". 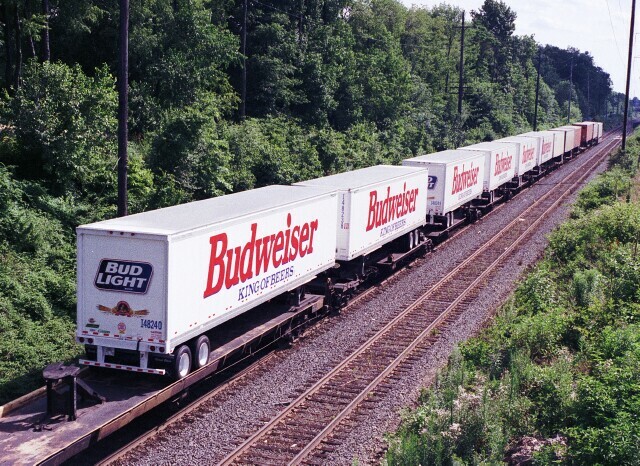 On the tail end were a few non-alcoholic trailers, including one in a well car. Unfortunately, the advertisements on the trailers attracted too much of the wrong attention and pilferage spiked, so the experiment with the billboard trailers soon ended.